Having filled hundreds of domestic staff vacancies across the globe, from aircraft and yachts crew to the childcare and finest in catering & hospitality, we’ve become experts on the topic of staff with skills suited to high net-worth individuals. One of the most prestigious personnels on our books are butlers. Everyone wants to know what the butler saw behind closed doors, we can offer an insight into the world of serving the rich and famous. With our extensive knowledge on what makes the perfect butler, we are able to give you 3 things you probably didn’t know about butlers. With being a servant to some of the worlds richest and most famous, fame can sometimes be part of the package. With fame and fortune, comes a responsibility to perform impeccably and ensure you (the butler) have everything covered to save your employer any potential unwelcome surprises. Being a trustworthy individual is crucial. 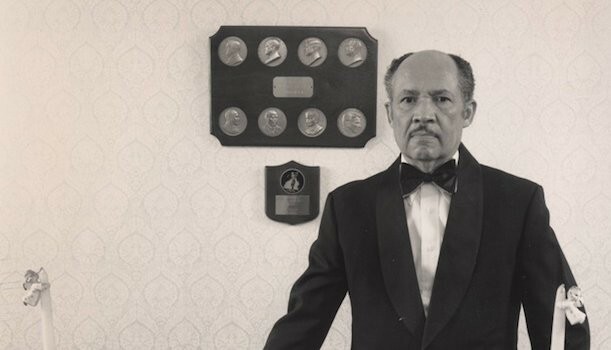 One of the most infamous butlers, known for his excellence, is Eugene Allen. Eugene, who sadly passed away in March 2010, was a butler who worked for the white house for 34 years. During his time at one of the worlds most iconic buildings, Eugene served eight different presidents and also served huge stars like Sammy Davis Jr. and Elvis Presley. More recently, Fonzworth Bentley rose to fame as he served one of the wealthiest musicians on the planet, Sean Combs. Fonzworth was also known for hosting the hit MTV show ‘From G’s to Gents.’ So, in conclusion, if you didn’t already know there’s a realistic chance that as a butler fame and fortune is never too far away. Being experts in providing a service tailored to the more affluent members of society, we know all too well how in demand butlers are. Yes, we’re always told about how shaky the worlds economy is and we always feel as if we’re on the edge of another economic downturn but the truth is, there’s more millionaires and billionaires than ever before. Even once inflation is considered, the rich are genuinely richer than ever and their wealth as a collective is only going to increase. It’s worth noting, being a butler is a specialist job role that takes extensive training and talent. This means, the supply of high quality butlers is low in relation to the demand. If you’re a good butler with a well connected recruitment agency you’re likely to build a healthy career. Butlers, or people who fit the job description, have been around since the biblical times. In the book of Genesis in the Old Testament of the Bible, there’s a mention of Joseph deciphering a dream for the Pharaoah’s shaqah (which literally refers to “cup-bearer”). So even way back then, there were already butlers in place to ensure everything ran nice and smoothly for the financially ‘superior’ members of society. Being part of history and being closely associated to people of extreme wealth, it means there’s a certain etiquette when being butler. This etiquette is very specific and learning the do’s and don’ts can be very time consuming. One of many contributing factors that make being a butler a specialist job. If you’re interested in becoming one of the elite and working internationally with the worlds most rich and famous, get in touch via email on . Similarly, if you’re looking to hire the very best domestic staff around with reassurance from London’s leading domestic recruitment consultants get in touch via email. How a Household manager can help you gain time.